Mini-Circuits' limiters cover a very broad frequency range from 3 KHz to 900 MHz, dynamic range from +3 to +20 dBM, and provide exceptionally hard limiting of 0.05 dB output change per dB input change. All models have been designed to provide very small phase variations as the input level is changed. A bias current of only 3 mA from a 50 ohm source is required to excite a limiter. When the RF signal level available is not within the dynamic range of the limiter then two options may be taken. 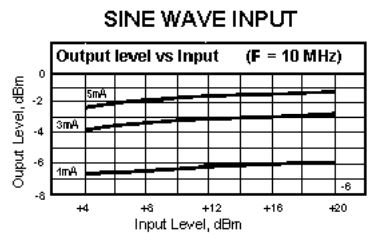 One, if the level is too high, an attenuator may be utilized; if the level is too low, an amplifier may be utilized. Both components should be selected so that the input RF signal level range is centered within the range of the limiter. Applications include stabilizing generator outputs, providing constant amplitude signals in phase-sensitive systems, and reducing amplitude variations in FM detection systems. Q. Please describe the spectrum at the output of a limiter. A. Since a limiter acts in a saturated mode, its output contains many harmonics of the applied input signal. 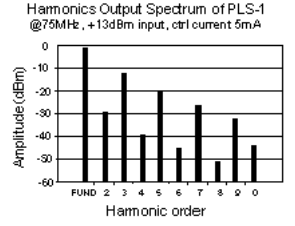 The harmonic content is a function of the bias current and applied power level. Q. Will a dc component in the input signal influence limiting action? A. No. The input port is at dc ground. Q. How is the output level of the limiter affected by control current? A. 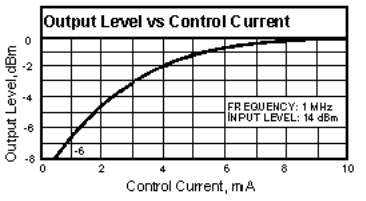 The output level will increase for increased values of control current, as shown. Q. 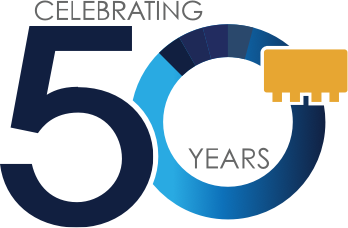 What is the effect of using a 50-ohm limiter in a 75-ohm system? A. This approach is generally recommended because there will be a small change in limiting action. The efficiency of limiting would not be compromised. Q. What happens in a limiter if signals other than a sine wave are applied? A. As long as the input level is of sufficient amplitude the diodes will saturate and limiting will occur. The limiting efficiency of output/input will most likely be affected and would be a function of the input wave shape. Q. Is it possible to obtain Mini-Circuits' limiters in a surface-mount package? A. Yes. You may select anyone of our surface-mount packages in the handbook. Please refer to the mixer, Section 1, for various packages available. Q. What is meant by the dynamic range of a limiter? A. The dynamic range indicates the variation of RF input power over which a limiter will maintain a relatively constant output level.